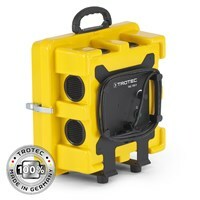 The Air Purifier TAC 750 E: an exremely mobile and variable lightweight! 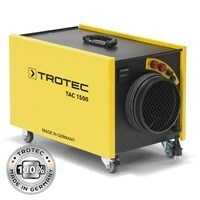 Tac 1500 S air purifier: Robust standard solution for clean air during renovation or construction. 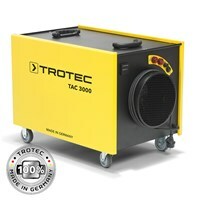 Air cleaners that are used on construction sites and on restoration works, have to perform better. Dust, mold, asbestos - these are no easy opponents. 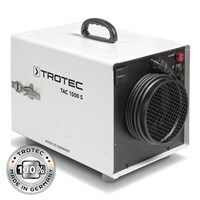 But the professional air purifier of TAC series are made for the toughest conditions. Reliable they filter all common harmful substances from the air in buildings : construction dust, silica dust, flour dust, mold, and even asbestos. The air purifier of the TAC series are just as robust as mobile. It guarantees you clean pure air, wherever you're working. Health is a top priority: Protect yourself and your employees through the application of an air cleaner. 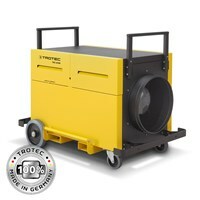 Clear view: Simple working conditions with less dust. For a combination of dust removal from our fans, our air purifiers are unbeatable! 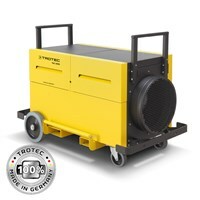 Flexible application: The compact size of the air cleaner allows a maximum mobility. And with interchangeable filters, the TAC models can accomplish any task! Your choice will depend on the room amd pollutione. If you want to find out which model is the right choice for you, please click here.